I have had the honor of being interviewed for THE WEALTH MINDSET EXPERT SERIES along with several other successful women. Grab your free seat for this powerful, virtual, series by clicking on the link below. 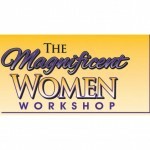 http://ow.ly/UTjcF Learn how to create the mindset for Wealth, Abundance, and Happiness! Wishing you the best of all possibilities! Carol A. Briney Is Speaking At SiteNite – Slow Down To Power Up! Public Welcome!